Building Success- Compass Financial - Compass Financial Group, Inc.
We help you coordinate the aspects of YOUR financial life. You have aligned yourself with various micro-managers to assist you with your financial decision making. These micro-managers are specialists in their particular area of expertise. 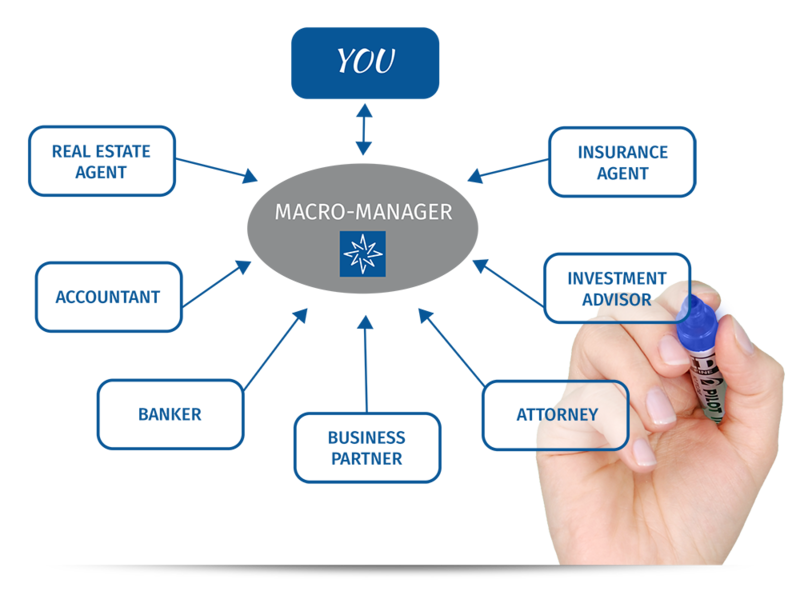 Without a macro-manager, you are left with the complex responsibility of tying all of your financial decisions together. You will be in a continuous loop jumping from one micro-manager to another. Compass Financial Group enables your micro-managers to better perform their services by syncing their decisions to work in unison, with the overall goal of improving the performance and efficiency of your plan.